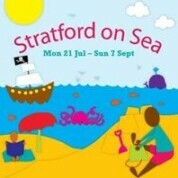 We are big fans of the Discover Children’s Story Centre in Stratford, which has just announced an exciting programme of events for the summer holidays. From the interactive exhibition Secret Agents- Spy Academy to the holiday-themed activities transforming the Centre into Stratford-on-Sea, there’s story-based fun for the whole family. Look out for Sea Shanties every morning (0 to 3), Garden Games every afternoon (age 3 to 6), and a programme of Seaside Tales that changes weekly and features favourite characters such as Winnie the Witch, Elmer the Elephant, Julia Donaldson’s Tiddler, Pirates Love Underpants and more. Entry to Discover is free for Newham residents from 28 July to 13 August 2014.